In addition to its state-of-the-art facilities, a key benefit of the Incubation Program is its ability to connect incubator companies with University faculty and students. As part of its program, the Incubation Program advertises to suitable students and helps recruit them to work as fellows, part-time employees or interns. Pairs students with on-campus UConn affiliated startup companies for mentored research internships/fellowships in Business or STEM areas. For more information, contact the Program Director at dealy@uchc.edu. What is a University startup company? A UConn affiliated startup company can help a discovery or innovation become the next new product or therapy. There are more than 35 UConn affiliated startup companies in UConn's Technology Incubation Program (TIP). These companies are developing and commercializing new technologies in areas like vaccines, medical devices, software, pharmaceuticals, manufacturing, and more. What kind of research does a UConn-TIP fellow do? UConn-TIP fellows receive special academic enrichment including seminars and final research presentations at UConn-TIP Research Day. What have previous students said about their experience? “the presentation definitely helped me to organize and think critically about my results"
The next application period will be Spring 2019. 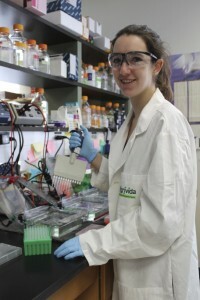 Research-for-Credit requires previous experience as a UConn-TIP summer fellow and is ad-hoc.